_x000D_ This contemporary style which makes you stand out from the crowd. 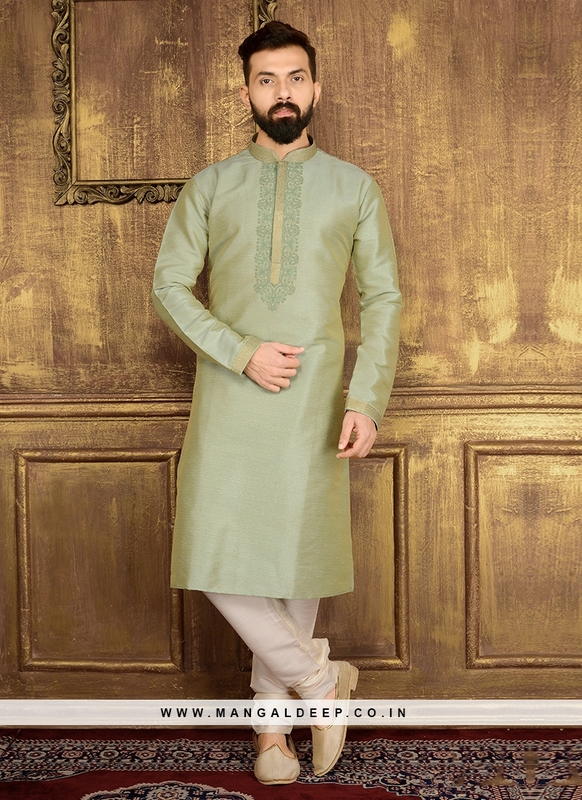 Handsome look pista green churidar kurta pajama is embellished with resham embroidery on collar, neckline and cuffs will make you look great. Self floral designed all over the base giving it a rich ethnic texture. Paired with matching churidar. 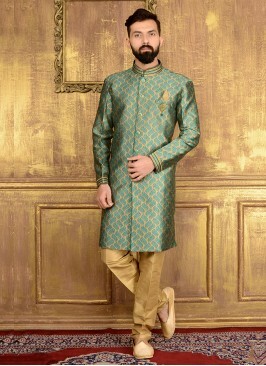 Mens Kurta Pajama In Yell.. Designer Men'S Suit With ..